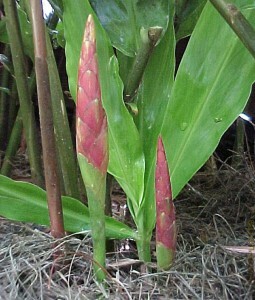 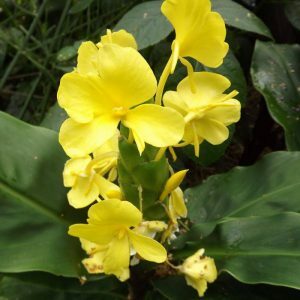 This is a very popular ginger, it has large waxy leaves and sturdy sterns and stalks. 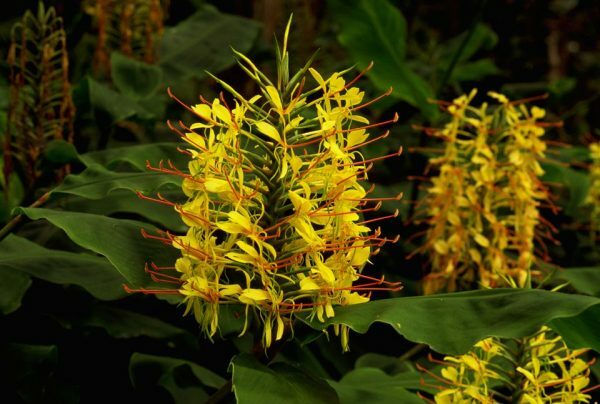 Its inflorescence is spiked and has many bright yellow flowers with long orange/red prominent stamens for pollination. 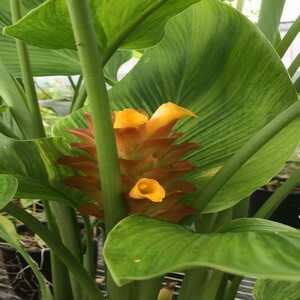 This species is often used in cross hybridizing!